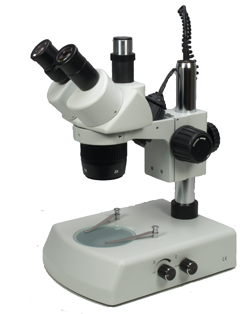 The BMSF series of stereomicroscopes allows the opportunity for the convenience of a trinocuar tube for photography without having to pay for the full zoom facility. 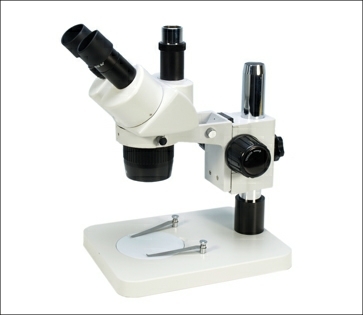 The microscope is available either on a plain stand, dual illumination stand and also a long arm option.. A particular feature of this series is the excellent finish and optical quality that we consider cannot be bettered within this price range. The BMSF stereohead is available with x1/x3 or x2/x4 objective options in a turret mount. 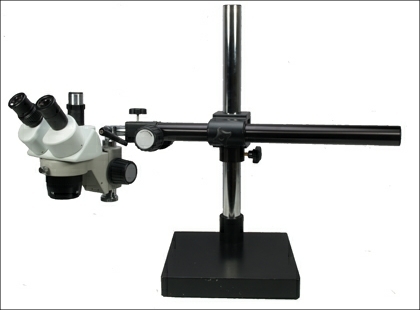 The widefield x10 eyepieces provides overall magnification options of x10/x30 and x20/x40. Both options maybe considerably extended by the use of auxiliary objective lenses (that screw into the bottom of the objective turret) and x15 or x20 additional eyepieces. The BMSF is trinocular - which is unusual for a non-zoom stereohead, and the light path is controlled by a push/pull lever. The trinocular eyetube arrangement is suitable for CCTV, and digital photography. Three stand options are available. The BMSF series has a range of accessories available from our online shop.